This kingdom was founded in AD 559 from the earlier Celtic region of the same name (pronounced Deywr in the Brythonic tongue). It, like Bernicia, was settled by Angles who were probably hired as mercenary soldiers. These Angles seem to have been present in the area for some time, and may even have enjoyed full autonomy in Deywr before they declared their kingdom, perhaps with the help of Bernicia. Both kingdoms then seem to have attacked British Ebrauc, which was stuck in between them. The principal pagan temple site of the Angles of Deira was at Goodmanham. At Sancton the region had the largest pagan cemetery in England. Cremation urns from Sancton are very similar to those found in the great Anglian cemetery at Borgstedt in southern Schleswig. Others are directly comparable to those in general use throughout Schleswig and Fyn. Dera wudu was the wood of the Deirans, located at Beverley in East Yorkshire. The sixth century history of the kingdom is largely unknown. Even its first recorded king has left little more than his name, Ælle. It seems more than coincidental that the Angles in Deywr assert their full independence at the same time as Ida of Bernicia dies. Up until now their new leader, Ælle, may have had a role as one of Ida's generals or allies who chooses this moment to assert his own independence. Sixth generation of Anglian leaders in Deywr. The Deirans continue to gain ground in the region. Although by now they seem to have already captured the coast by about 570, the British city of Ebrauc (York) is known to have fallen later, between about 570-580, so it seems likely, given their dates of death (Annales Cambriae), that the sons of Eliffer had been fighting on from their capital until overrun. The capital of the north is now in the hands of the Deirans, greatly increasing their territory and exposing the borders of two more British kingdoms, those of Dunoting and Elmet. Son. Forced out by Æthelfrith. Edwin is driven out of the kingdom by his brother-in-law, Æthelfrith of Bernicia. He seeks asylum in the court of Raedwald of the East Engle, and survives at least one assassination attempt ordered by Æthelfrith. 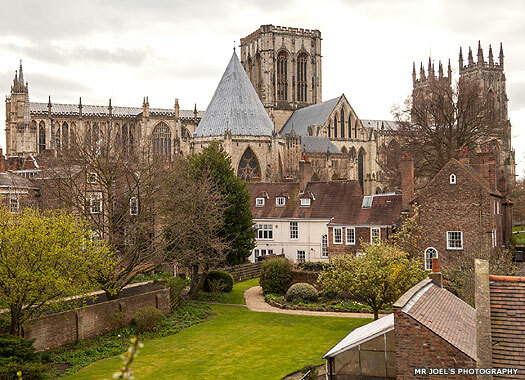 Testimony to the revival of the city of Eboracum (York) occurs when Pope Gregory announces his intention to make York the home of the Northern see, although it actually takes until 627 to persuade the Deiran king to be christened. However, the city remains on the western frontier of the kingdom, close to the border with British Elmet and is not regarded as the kingdom's heartland or focus point. Restored after taking control of Bernicia and returning to Deira. Edwin regains his throne after Æthelfrith is killed by King Raedwald of the East Engle at the Battle of the River Idle in 616. Shortly afterwards Edwin forces the collapse of the British kingdom of North Rheged, although a northern portion of it survives and continues as an isolated enclave. He also conquers Ynys Manau. As recorded by Bede, Saint Hilda had been born in 614 as a member of the royal family of Deira. Hilda grows up under the protection of Ceretic of Elmet. Now Edwin begins a push westwards that will gain him the entire Pennine region, and in this year he uses the poisoning of Hilda's father as a pretext for invading Elmet, holding Ceretic responsible. As Ceretic had been on peaceful terms with Æthelfrith, it is possible that the death was to appease that Bernician king. 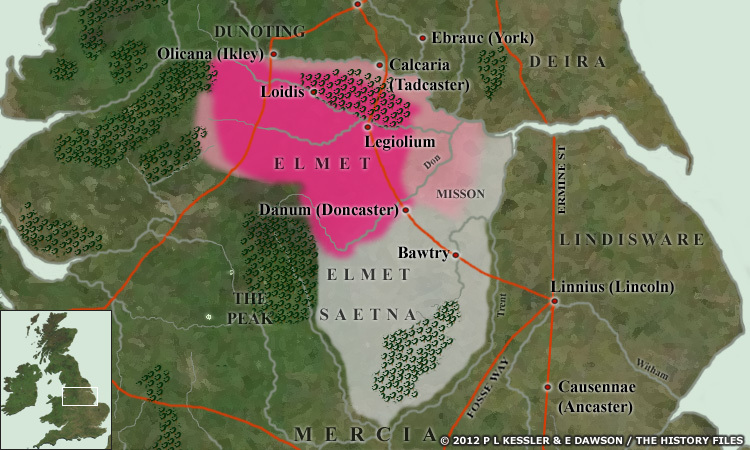 The Elmetians are outnumbered by Edwin's host and are defeated at a battle fought near Bawtry. Edwin is able to subdue the kingdom and its last native king, Ceretic, is expelled. Following the fall of Elmet, the increasingly powerful Bernician and Deiran thrones begin to dominate the newly exposed Lindisware. The Humber region, including its tributary rivers and quite possibly Lindsey itself, are probably counted as Edwin's domains. Edwin accepts Christianity, thanks to his Christian wife, Æthelburh (Ethelburga) of Kent, and a victory in battle over the West Seaxe. He is baptised in St Peter's Chapel in York (now York Minster). The chapel, a wooden building, is constructed especially for the ceremony as apparently, unlike St Martin's Church in Canterbury, there is no suitable Roman-period British Church building in York to rebuild. The dependant Lindisware are also swiftly converted as part of the same mission, and Edwin's friendship with the royal house of the East Engle sees King Earpwald converted too. Edwin is killed at Hatfield Chase (just outside the western borders of Lindsey) by Penda of Mercia while the latter is allied to Cadwallon, king of Gwynedd and High King of the Britons. Both of Edwin's sons are also killed, ending his royal line. Cadwallon repays many years of defeats, deaths, rapes and pillaging at Northumbrian hands by conducting a year-long campaign of revenge in the kingdoms of Bernicia and Deira. It is likely that Lindsey becomes independent for a while following this destruction of its masters. Reverted to paganism. Killed by Cadwallon. Oswald is killed by Penda of Mercia on 5 August at the Battle of Maserfelth. The location of Maserfelth is still disputed but opinion favours Oswestry ('Oswald's tree') in Shropshire. Politically, Oswald's death splits Northumbria. His brother succeeds him in Bernicia but Deira breaks away under their cousin Oswine, whose father, Osric, led the kingdom back to paganism during the dark days after Hatfield Chase. Son of Osric. Ruled until 20 August. Oswiu of Bernicia plans to take his cousin, the exiled Roman Catholic Eanflaed of Deira, as his new bride, in order to cement his claim on Deira. The Deirans object strongly and Oswiu prepares to invade. Oswine shamefully disbands his army and goes into hiding with one faithful companion who betrays him. Oswiu has Oswine killed, but the Deiran nobles still refuse to accept Oswiu as their king, choosing instead a cousin of Oswine's to lead them. Cousin. Ruled until or after Nov 654. With the victory of Oswiu of Bernicia at the Battle of Winwaed, Deira falls under permanent Bernician control and a united Northumbria is created. Æthelwald is removed for supporting the losing side against Oswiu, and the Deirans are forced to accept Oswiu's son, Aldfrith, as their sub-king in the early days of Northumbrian union. 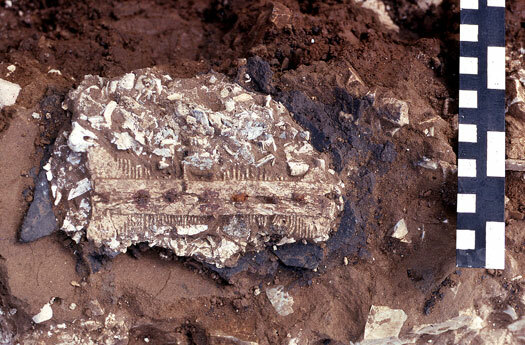 Son of Oswiu of Bernicia. Sub-king. Died. Aldfrith is the son of Oswiu of Bernicia, who has been king of a united Northumbria since 654. Aldfrith's mother had been, according to Nennius, Rienmelth, daughter of Royth (or Rhwyth), better known as Rhoedd map Rhun map Urien Rheged. At the very least, Oswiu's marriage is a dynastic union, albeit with a bride whose family had found themselves in severely reduced circumstances, but it also solidifies his claim to rule all of the North, a land that he and his forebears have reunited so that it closely resembles the 'Kingdom of Northern Britain' over two hundred years before. With Aldfrith's death, Deira is apparently drawn fully within Northumbria to be ruled as a single kingdom. His daughter, Eahlflæd, becomes a nun. There is a brief period in 670-679 when the title 'King of Deira' is bestowed on the boy Ælfwine, another of Oswiu's sons, but there is little direct control of Deira involved, and Ælfwine is killed at the Battle of Trent in 679 by the Mercians. Deira and Bernicia are now inextricably linked.